Q: How long will it take once the cabinet refacing process has started for my kitchen to be ready for me to use again? A: From the time we begin to remove your old doors to the time we finish cleaning up can be anywhere from 3-7 business days. Q: What do I use to keep my new cabinets & countertops looking good? A: We recommend that you clean your new surfaces with “Countertop Magic” & “Cabinet Magic.” However, any mild general cleanser will do. Q: Will there be a lot of dust in my house? A: Whenever there is a project that involves sanding, there will be a certain amount of dust. We cover the openings to your kitchen with plastic & try to keep the dust to a minimum. Q: We are planning to put our house on the market soon and have been told that our kitchen looks a little tired. If we were to reface, how much of our investment would we stand to get back? A: Every year, various Realtor groups poll home improvement stores and other Realtors to come up with a list of home improvements that actually add value to your house. Year after year, the top results are the same. 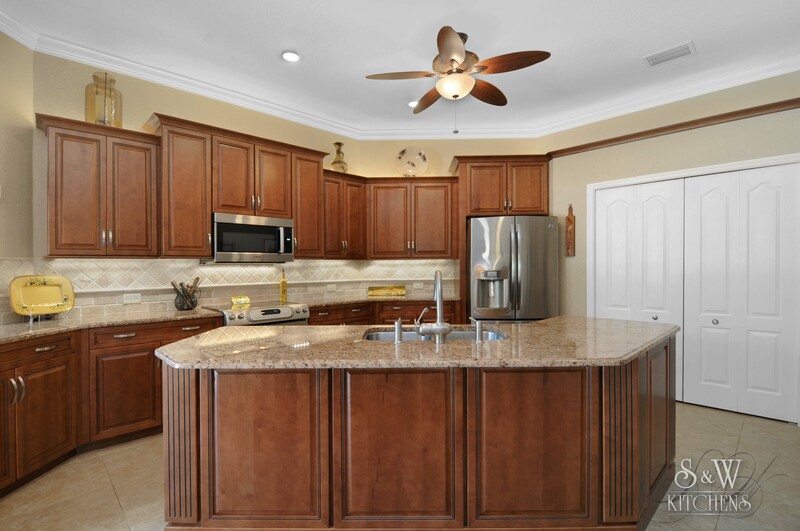 Cabinet Refacing is the home improvement job that adds the most value to your house. In fact, you'll recover 80-90% of your Cabinet Refacing costs in the added value to your house! Q: Will I be able to use my kitchen during the cabinet refacing renovation? A: Cabinet refacing does not cause allot of dust. If you are having your cabinets re-faced, you could use your kitchen. If you are also replacing your old countertops, you will be without a sink for a couple of days. We recommend that you make other arrangements; maybe this is a good time to try that new restaurant! Q: I am replacing my countertop and getting a new sink and faucet, will I need a plumber? A: Yes. We suggest using a licensed plumber to hook up your new sink and faucet. You can use your own plumber or we can do the work for you with our plumber. Q: Can we add additional cabinets or modify for new appliances? A: Most certainly! We can blend in new cabinets for added storage space and modify cabinet sizes to accommodate a new microwave over the stove, new wall oven or new refrigerator. Q: What if my cabinets are too old or in disrepair for a reface, will the estimate still be free? A: Absolutely! All our estimates are free. And if it is determined replacing your cabinets is a better choice for you, we offer cabinet replacement options for you to consider. With free shop-at -home service. (No waiting in line at the home centers!